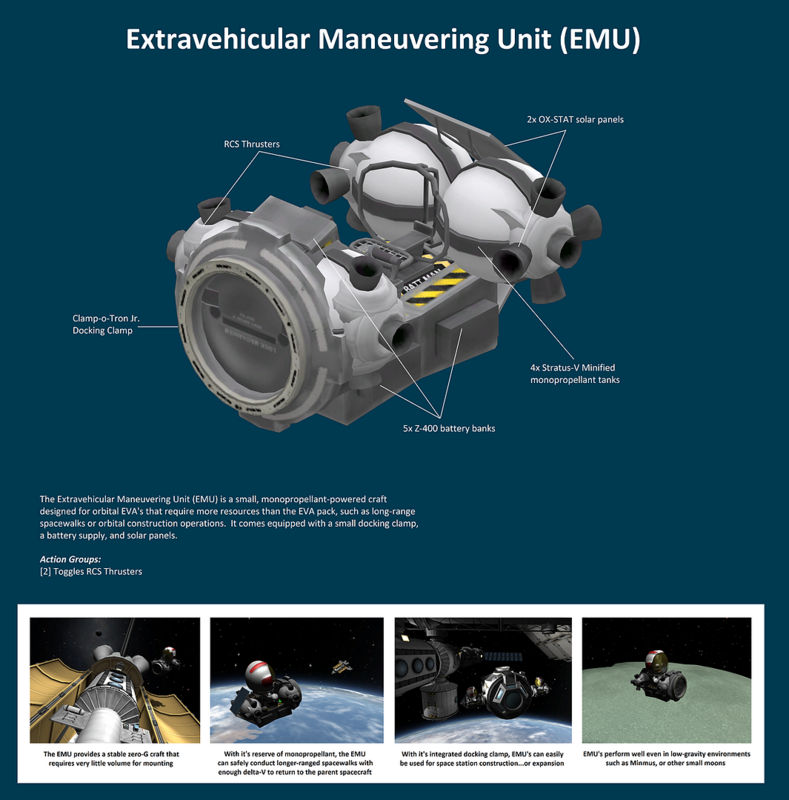 The Extravehicular Maneuvering Unit (EMU) is a small, monopropellant-powered craft designed for orbital EVA’s that require more resources than the EVA pack, such as long-range spacewalks or orbital construction operations. It comes equipped with a small docking clamp, a battery supply, and solar panels. Built in the Subassembly in KSP version 1.6.0.